Splits up the single line item sent to PayPal called "Shipping, Handling, Discounts, and Taxes" into their own proper line items. Adds the state/region to the address sent to PayPal. Adds the customer's phone number from OpenCart, including the country code for non-U.S. countries. 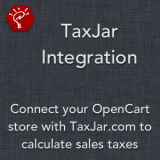 Integrate your OpenCart store with TaxJar.com, an easy-to-use sales tax management service for retailers. This extension connects OpenCart with TaxJar services, including using the customer's address to determine correct tax rate for their location, pulling that tax rate into OpenCart as an Order Total line item, and then submitting the order to be recorded into your TaxJar transaction listings. 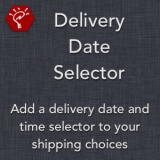 Set your store's shipping origin address directly through the admin panel. TaxJar uses this, along with the customer's precise location, to accurately determine all state and local taxes that must be paid. Enter a fallback tax rate, in case the request to TaxJar fails. Choose whether pre-checkout pages perform API requests to TaxJar, or use the fallback rate you've entered, to reduce the number of API calls to TaxJar. Optionally enter variable Product Tax Codes for your products, using any existing product database field (e.g. Location or MPN). Charge tax on shipping methods, by making sure they have an eligible tax class applied to them. 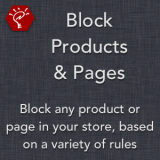 Restrict the extension by tax classes, stores, geo zones, and customer groups. Automatically pass order information from OpenCart to TaxJar when an order is processed, or manually submit previous or missed orders using the added button visible on orders in the OpenCart admin panel. Includes a Testing Mode so you can see all API requests to and responses from TaxJar, helping to debug things when they don't look right on the front end. Note: If you don't currently have a TaxJar account, please sign up through our affiliate link. This will help fund future development of this extension. This skin is offered to you in a ready-to-use .sql file that you can upload directly from the backend of your OpenCart installation. After uploading and importing the file, your new theme is ready for use. You only need to activate it in Journal2's template settings. All templates are delivered with clear PDF installation instructions. Each module of Journal2 is decorated and made up with the correct style and color. Do not worry about inspiration issues or finding the time to make the settings, we've already taken care of them. Due to our long experience with Journal2, we have beautifully styled every detail of this template. 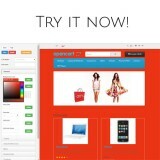 Shopping on the web today is very easy and quick to do wherever you are. Unfortunately, this also involves hackers and other malware that attempt to steal the customers or shop data. Therefore, ensure that you always protect your OpenCart store! Below is a list of features that our security package offers. Protect yourself today from malicious hackers and phishers and download the OpenCart Total Security package immediately. This ensures that access to the server, database and files is blocked from external or internal unauthorized scripts. SQL injection is a code injection technique that is used to attack data-driven applications, inserting indefinite SQL statements into an execution field for execution (for example, to dump database content to the attacker). 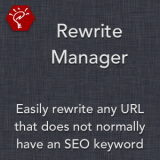 This ensures that no files can be loaded directly by entering the URL link directly into the address bar. Hackers will not be able to retrieve the files immediately. Clickjacking (UI Correction Attack) is a malicious technique to mislead a web user to click on something other than what the user actually sees, allowing potential confidential information to be publicized or take over control over their computer and clicking on malicious webpages. All incorrect admin login attempts are stored with name and IP. PLEASE NOTE THAT THIS IS NOT A DOWNLOADABLE EXTENSION. 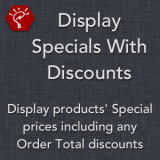 THIS IS A SERVICE WE MANUALLY IMPLEMENT AFTER CONFIRMATION OF PURCHASE. YOU WILL NEED TO SEND US YOUR FTP DETAILS SO WE CAN FULLY IMPLEMENT THESE EXTRA SECURITY FEATURES. 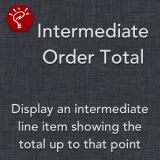 This Order Total extension will add a new line item to the order, which is an intermediate total of the line items that come before it. 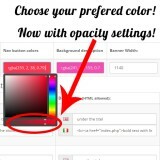 It will not affect the final total itself; the new line item is for display purposes only. You can use this to show the sub-total + shipping, the total before tax, etc. Upload and go — no core file modifications are required. Set the status, sort order, and title of the line item directly within the extension admin panel. Multiple languages and HTML are both supported within the line item title. This extension allows you to generate RFM (Recency-Frequency-Monetary) scores for customers in your OpenCart store, and view a report of the RFM rankings for your customers. RFM analysis can be used to target marketing to your best customers, helping increase conversion for e-mail and other advertising campaigns, like sending out discounts or other special offers. You can read more about RFM analysis on this page. Upload and go — utilizes vQmod or ocMod so no core file modifications are necessary. Enter your own ranges for calculating Recency, Frequency, and Monetary values, and change them at any time. Choose the time period used to calculate Frequency and Monetary values. Recalculate all RFM scores within the report with a single click. RFM scores are generated for individual customers every time they place an order, or their order status is updated. 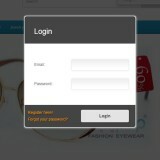 Scores are also automatically generated for all customers once a day. 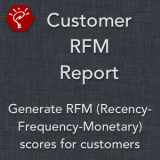 Download the RFM report as a CSV file. 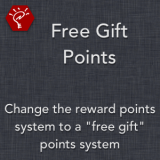 This extension repurposes Reward Points into "Free Gift" Points, which are accumulated just like Reward Points, but can be used to choose a free gift once the right number of points has been reached. It includes a module box to show the eligible "free gift" products available, as well as the customer's current point balance. 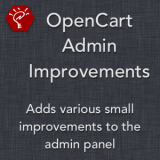 Upload and go - utilizes ocMod (or vQmod for OpenCart 1.5.x) so no core file modifications are necessary. 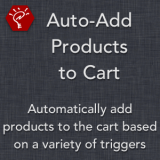 Automatically applies all reward points for products immediately to the cart. Includes the ability to add an automatic amount of points per product if you don't have reward point values set for your products. Changes the price display in the cart for "free gift" products to show the point value instaed of the cost value. When orders are placed, the cost value will show as 0.00, with the point value added to the "Model" column on the order. 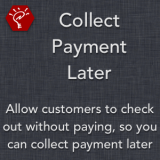 Unused points are automatically applied to the customer's account when the order is completed.